Running a Linux distro from USB drive can be very useful, you can do almost anything just like from an installed operating system. It’s an easy way to run something on Linux or just see how Ubuntu works, the biggest disadvantage is that the USB flash drives are much slower than SSD drives. 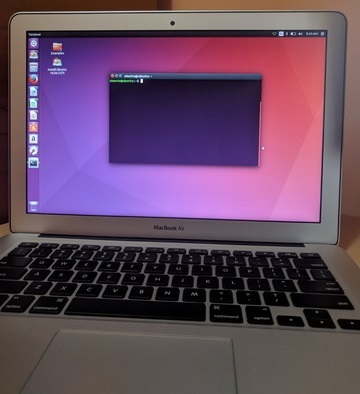 In this tutorial we will create a bootable USB drive in macOS and test it on MacBook Air. a.) Identify the USB drive, in my example the device is /dev/disk2. b.) Erase the /dev/disk2, create one big partition /dev/disk2s1 and format as FAT32 with the label “UBUNTU”. All data on /dev/disk2 will be destroyed! 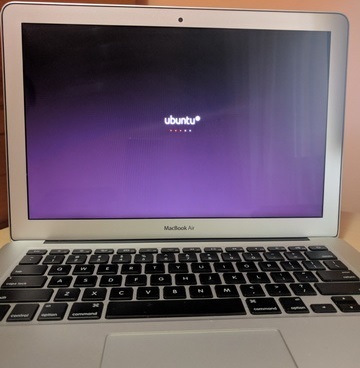 c.) Mount the Ubuntu ISO image. d.) Copy the Ubuntu installation files to the USB drive, it might take a few minutes. e.) Unmount the USB drive. * Note The bootable USB drive will work only on systems with UEFI firmware. a.) 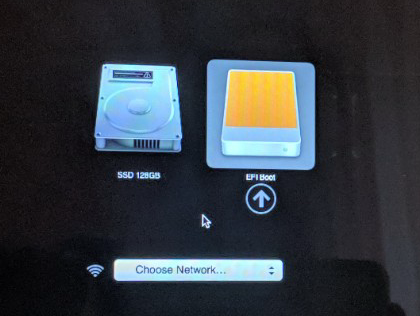 Turn on your MacBook and press the Option (⌥) key, you should see the Startup Manager, which allows you to boot from other disks. b.) Select the USB drive and press Enter. c.) When Grub loads, select “Try Ubuntu without installing” and press Enter.